PPM (Pinion Project Management Limited) was founded in March 2007 towards providing a complementary variety of cost effective project management services to small, medium and large organisations with varying degrees of project management expertise and experience. Gerry began his career in the Oil & Gas industry where he assisted Petroleum Engineers and Geologists working on major exploration projects. He quickly progressed to highly demanding offshore and onshore production roles with Britoil and British Gas. He joined BP as a Project Engineer and was soon promoted to the Site Engineering Manager responsible for all engineering activities and capital projects on a 100 acre site. His passion for project management increased as he went on to lead and support capital projects in the Whisky industry for Barr & Wray, United Distillers Engineering, William Grant & Sons Ltd and CEL. When working on prestigious projects for global brands such as Johnnie Walker, Glenfiddich and Balvenie, Gerry analysed the growing demand for more premium products in China and other growing economies. He went on to study links between business strategy, brand values, employees motivation and project success rates. He graduated with an MBA at The University of Glasgow in November 2006, before setting up Pinion Project Management Limited in March 2007. Since then, Gerry has led projects and /or project management training for ABB, Chemring, Diageo, Scottish Power and the Finsbury Food Group. 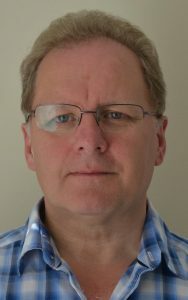 Combining his project management experience, primary research and wider business studies, Gerry understands the complex links between project success rates and key organisational variables, including: strategy, structure, culture, climate, processes, KPI’s, employee motivation and appraisal/reward systems. Gerry can transfer much of this valuable learning to your organisation by providing consultancy advice and hands on project management support to cost-effectively advance your project management team’s total effectiveness and success rates.